A. J. 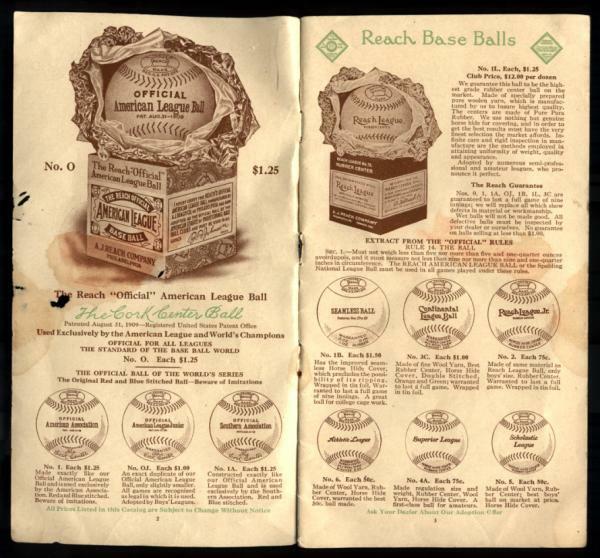 Reach Co. "Baseball-Tennis-Golf" Catalogue, 1917. In 1908 the A.J. Reach Company patented the cork-centered baseball, which traveled farther and faster than the hard rubber-cored ball it would soon replace.